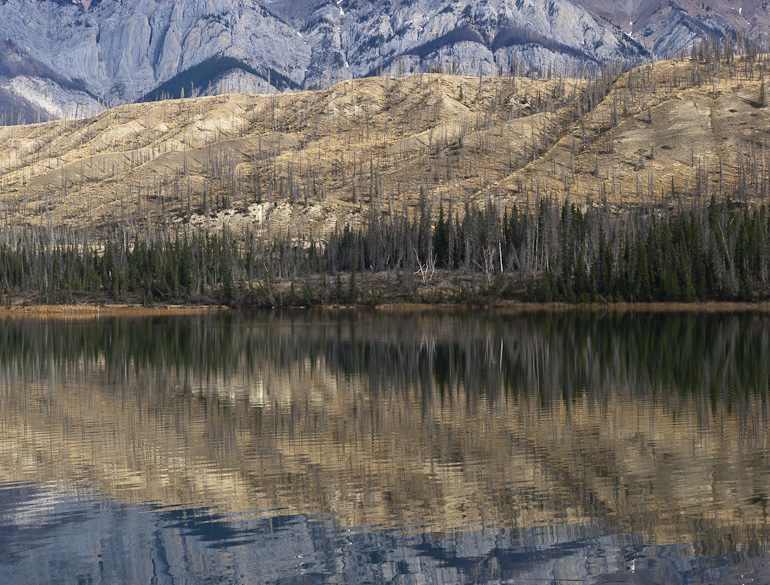 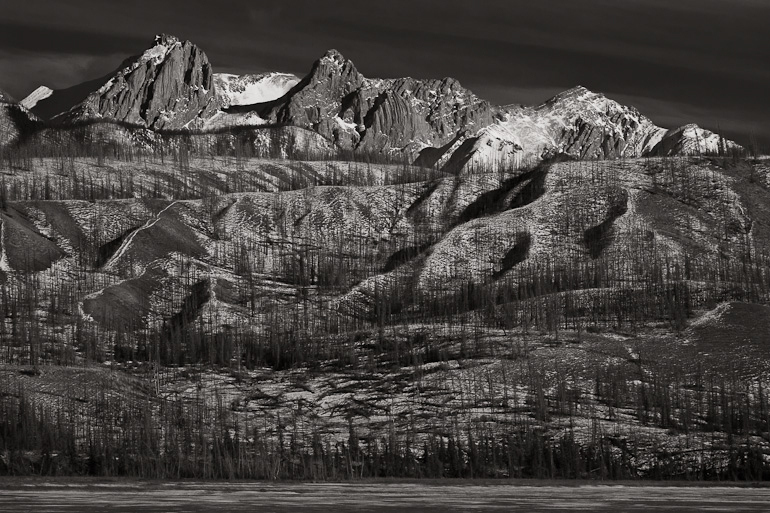 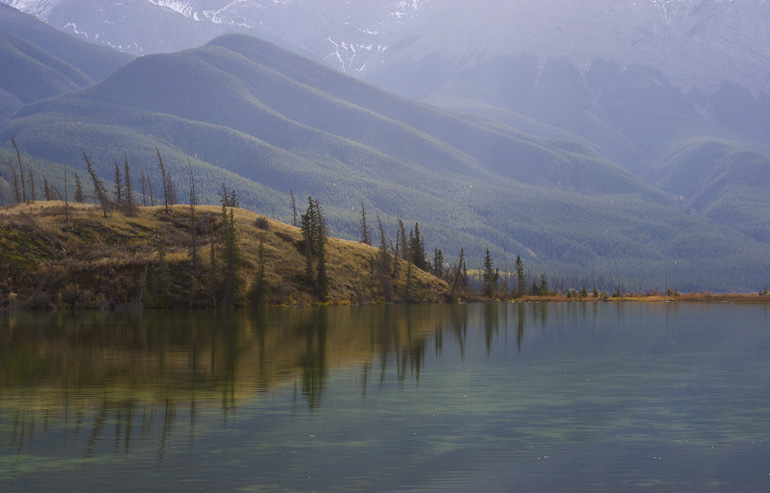 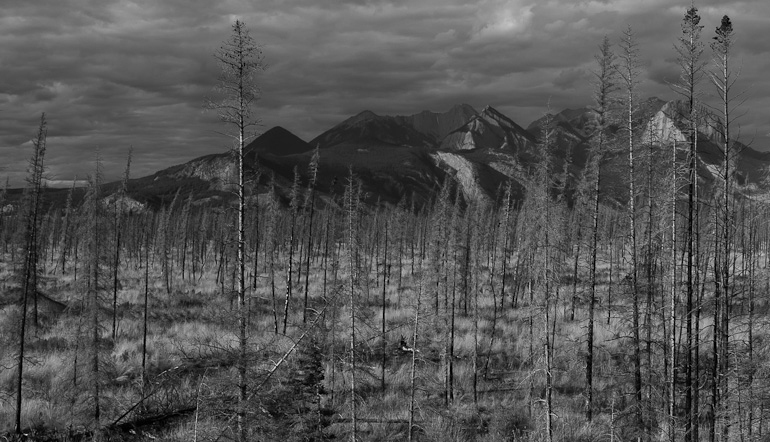 In the late autumn of 2006 I decided to hike in to, and photograph the ridges that I could see behind Talbot Lake in Jasper National Park. 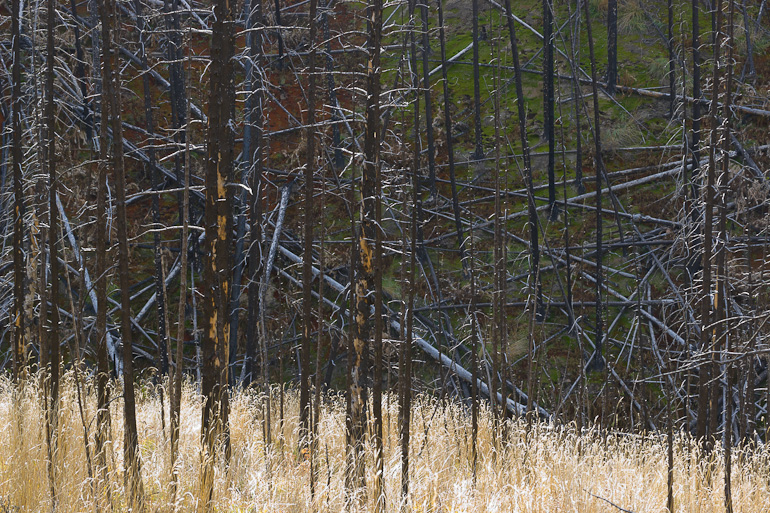 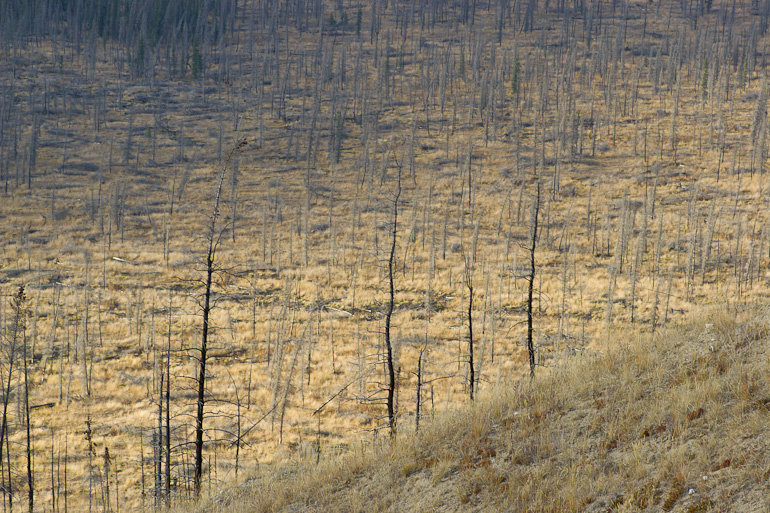 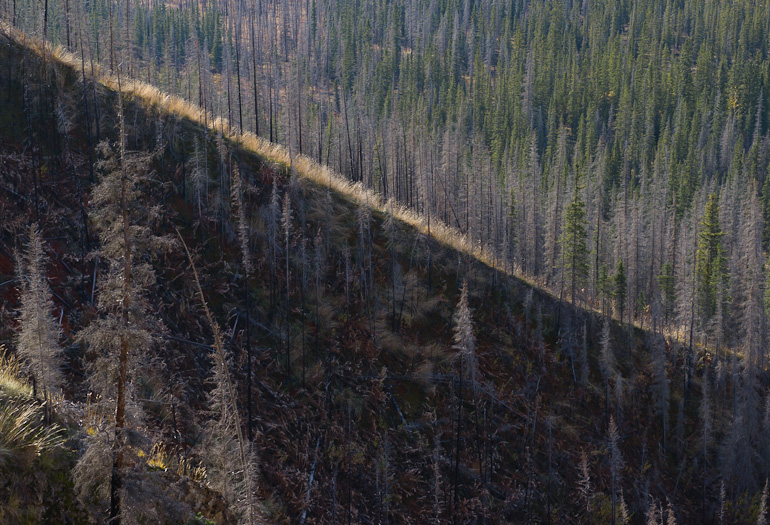 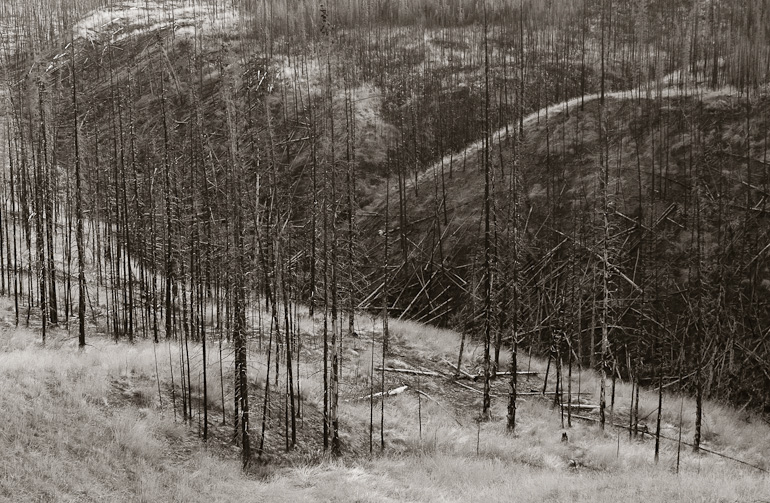 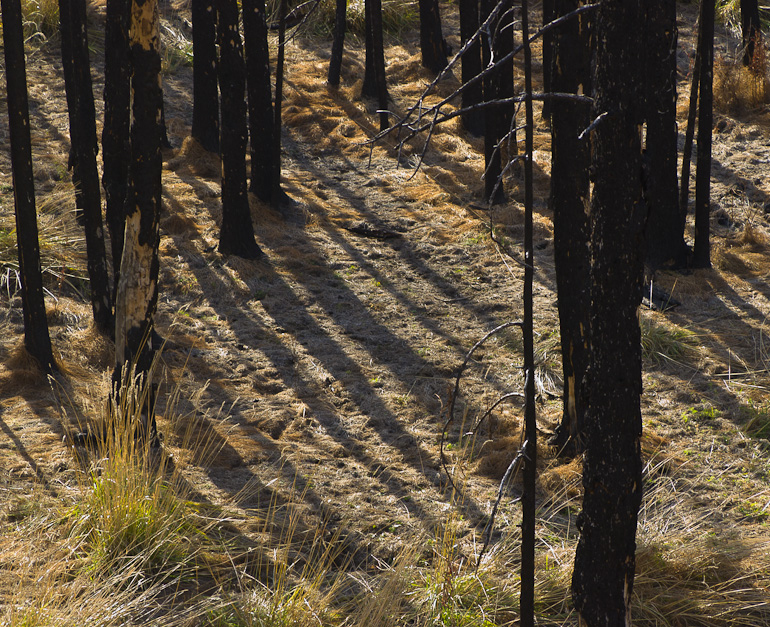 The underlying topography of the ridges, previously covered in dense conifer forest, had been laid bare by fire in the summer of 2003. 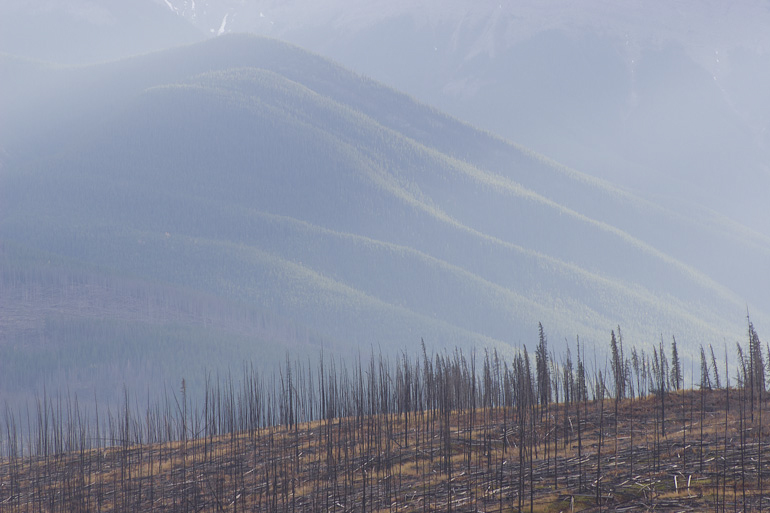 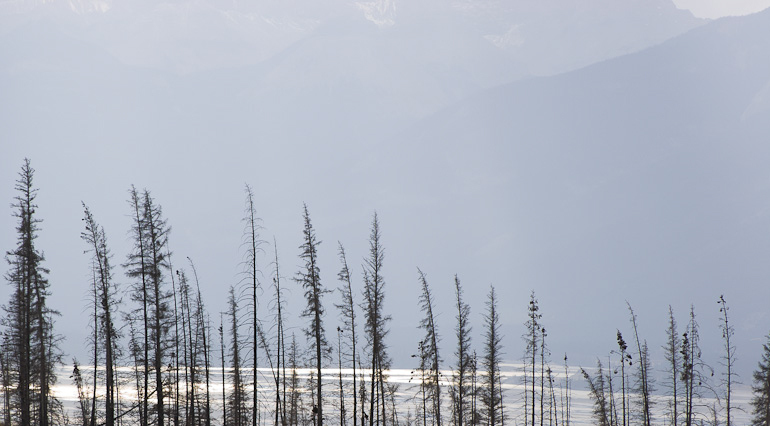 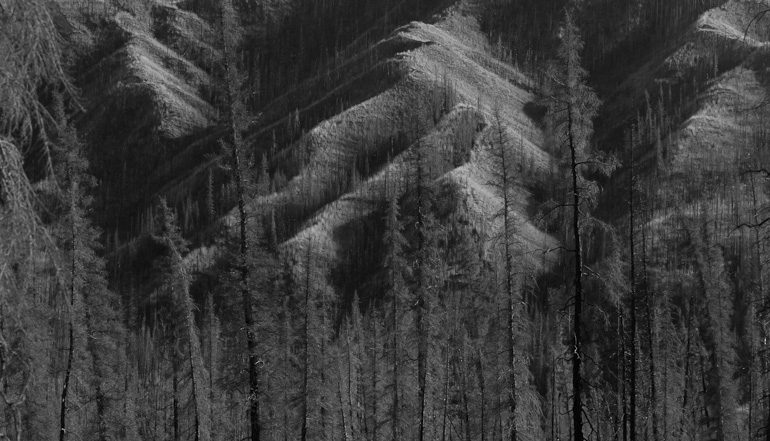 The Syncline Ridge Fire was started intentionally by Parks Canada but grew out of control and burned 28,000 hectares of forest*. 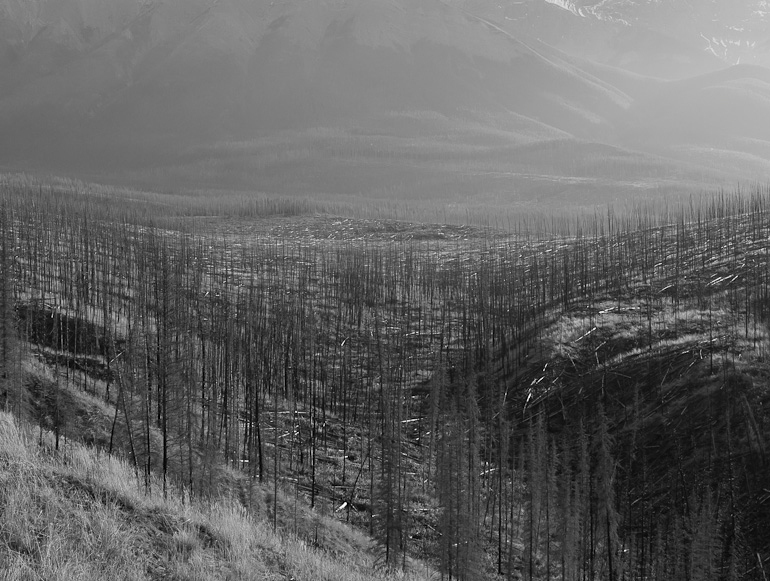 As I climbed over the first ridges and saw into the broad valley of the Rocky River, I was amazed by the beautiful, devastated landscape. 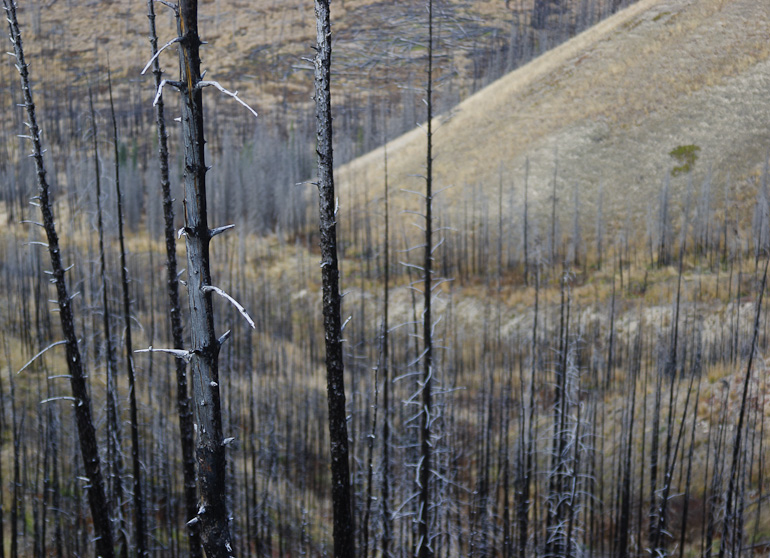 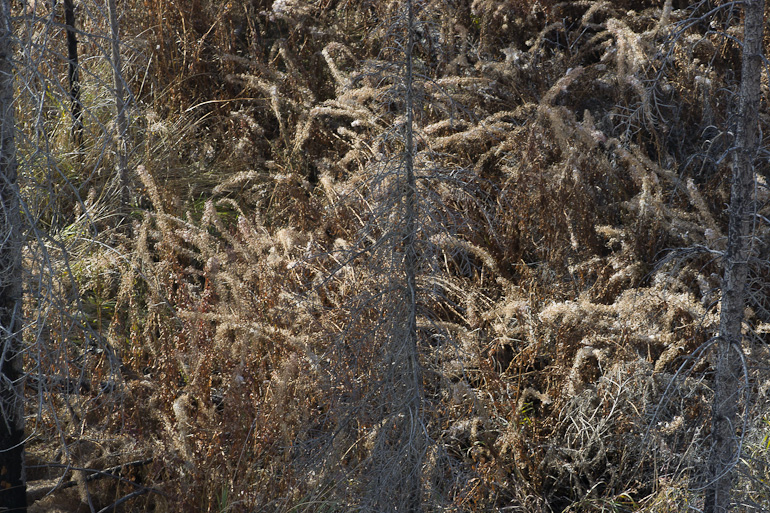 While the dead, standing trees stretched as far as I could see, there were already signs of regrowth and rejuvenation—moss covered the ground, native grasses grew high, and the dried seeds of fireweed flowers filled the air.